Good Morning America reported Monday that the canine Anthony Rizzo has been adopted from the Animal Welfare League in Chicago Heights. 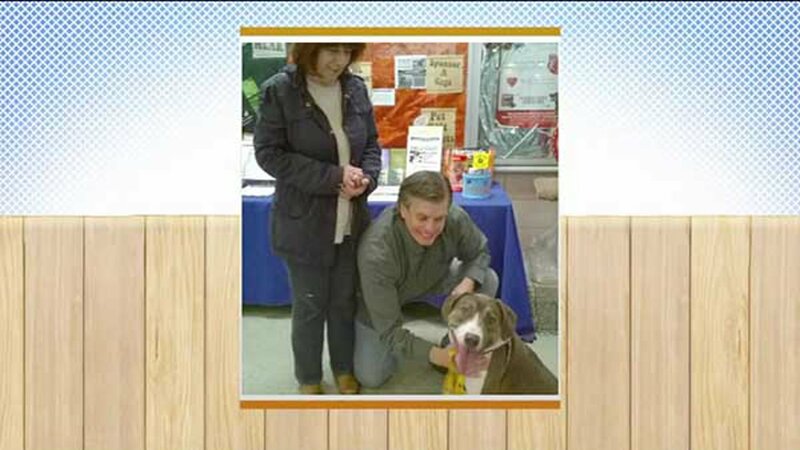 CHICAGO HEIGHTS, Ill. (WLS) -- A pup named after Anthony Rizzo has found his forever home. Last week, the Cubs first baseman appeared on Good Morning America with a special offer for anyone who adopted the 1-year-old American foxhound. "We need to get that one adopted. I guess whoever adopts that one I'll somehow reach out and I'll get them a signed jersey or something. So you get a free dog and a free jersey signed by me," Rizzo said. More than 2,600 dogs have been adopted during GMA's month-long dog adoption drive, Mission Pawsible. You can watch Good Morning America weekdays at 7 a.m. on ABC7.